Award-winning producer and director Miranda de Pencier is the founder of Northwood Entertainment, an independent film and television production company formed with a mission to create a thriving home for filmmakers with singular voices to reach broad audiences. Her credits include: Anne (with an E) currently streaming in 190 countries on Netflix and airing on the CBC, Thanks For Sharing, written and directed by Academy Award nominee Stuart Blumberg (The Kids Are All Right) and starring Mark Ruffalo, Gwyneth Paltrow, Tim Robbins, and the international pop star Pink; Beginners (2011 Gotham Award for Best Picture), directed by Mike Mills and starring Ewan McGregor and Christopher Plummer (2012 Academy Award for Best Supporting Actor); Adam starring Hugh Dancy, Rose Byrne, and Peter Gallagher and PU-­239 for HBO, and executive produced by George Clooney and Steven Soderbergh. Prior to producing, de Pencier was the Director of Development for Robert Redford’s Wildwood Enterprises, where she was involved in developing several projects including The Motorcycle Diaries and Spy Game. 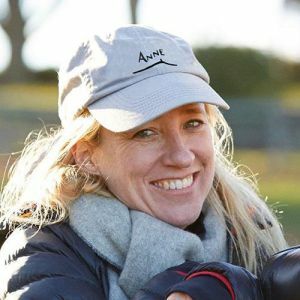 de Pencier recently made her feature film directorial debut with The Grizzlies, filmed in the Canadian Arctic and currently in post production. Her first film as a director, Throat Song, which she also wrote, premiered at the Toronto International Film Festival and won numerous awards including the Canadian Screen Award for Best Live Action Short Drama. de Pencier began her career as an actress and singer performing in numerous productions on television, screen and stage including the Canadian premiere productions of Les Miserables and Aspects of Love.